FilterFAB 2000 is used to assemble air, water and oil filters and to potting filter end caps and bond side seams. 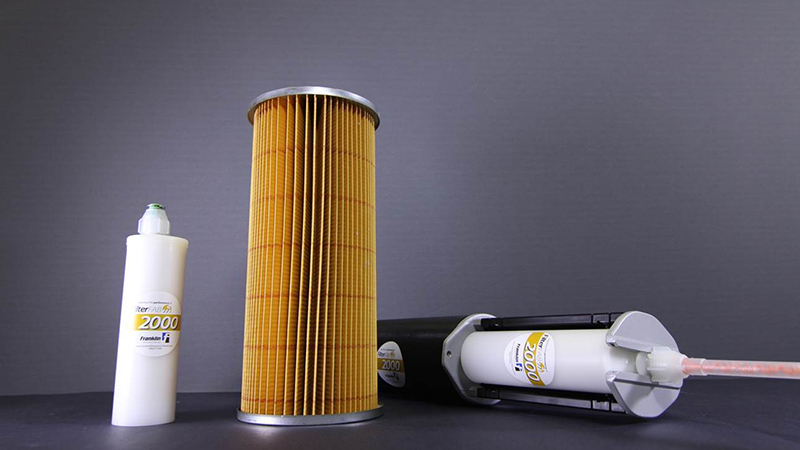 To capitalize upon expected increases in domestic and global market demand for high-performing air filtration, filter manufacturers will need to operate efficiently and fabricate quality products. The right adhesives can play a substantive role in improving both plant productivity and product performance, helping manufacturers make the most of the market upswing. Knowing this, Franklin Adhesives & Polymers set about developing a line of adhesives for filter assembly that simplify application, accelerate production, ensure durable bonds and enhance filtration performance. The R&D lab met the task with FilterFAB, a line of five high-performing adhesives developed primarily for air and liquid filter assembly. 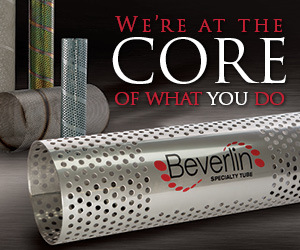 They stand out for ease of use, speed of set and high strength – and by the fact that Franklin, a leader in the adhesives industry, has more than twenty years of experience in the filtration industry. Four of the five adhesives offer the convenience of one-part formulation and are water-based, with all of the advantages therein. They are water-cleanable, non-flammable and contain no harmful fumes. The fifth product is a two-part solvent-free polyurethane formulation that also is environmentally safe. Below is a look at what each of the FilterFAB adhesives can bring to the assembly process and productivity. FilterFAB 210 FS – the FS stands for Fast Set – is ideal for high-speed filter assembly of cardboard wrapped air filters prior to insertion into retaining fixtures or belts. 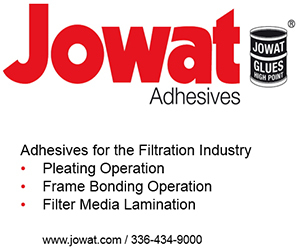 It’s a cost-effective polyvinyl acetate (PVA) adhesive that offers a higher initial tack than other formulations. High initial tack allows for quick and easy assembly, with less handling time. The adhesive develops a stronger bond than many competitive filter adhesives even when attaching the die-cut areas at the media’s pleat peaks and offers good fold-over adhesion, without visible delamination. FilterFAB 210 FS works with most spreader systems used in filter manufacturing, has excellent spreader stability and won’t build up on clamps or gloves. FilterFAB 300 is a high-performance PVA ethylene copolymer emulsion adhesive with very strong green and tensile strength. It sets almost immediately, but allows some repositionability for precise placement of components. In many cases, this adhesive eliminates the need for clamping, saving production time. It offers the added convenience of compatibility with most spreader systems. FilterFAB 2000 is the only two-component adhesive in the FilterFAB line. 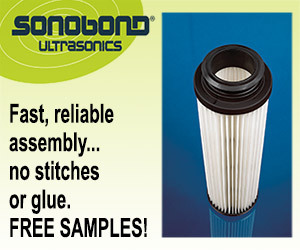 It’s a solvent-free polyurethane product for assembling air, water and oil filters and is ideal for potting filter end caps and bonding side seams. This versatile adhesive bonds well to metals, PVC, vinyl, fiberglass and cellulosic materials and offers good chemical resistance, as well as good heat resistance. Room-temperature cure time of three to five minutes can be heat accelerated, and the adhesive reaches handling strength in less than ten minutes. It attains Shore D Hardness of 80 to 82 (when fully cured) and meets FDA regulation CFR 175.105 for indirect food contact. FilterFAB 150 is a water-based, vinyl acrylic copolymer sealant developed primarily to bond pleated glass or paper media to the frames of air intake panel filters. It offers high viscosity that anchors media and hardens to a permanent bond over time. Instant set time eliminates the need for clamping, accelerating filter production. This sealant also is remarkably versatile. It adheres to frames made from a diversity of materials, including steel, wood, plastic and aluminum. The sealant typically is applied to the trough of the frame, and the assembly then wrapped around the pleated media. The addition of antimicrobial agents help the sealant stay bacteria-free long after it has cured for reduced risk of air contamination. It is UL-listed, passing 181 A-M and 181 B-M testing for safety. FilterFAB 3000 DEV is a vinyl acetate adhesive that draws on technology used for pressure sensitive adhesives (PSAs) – adhesives that typically are coated onto a substrate to make tapes and labels. As a permanent (non-removable) adhesive, it acts as an adherent to increase particle entrapment capabilities in residential and commercial filter systems. 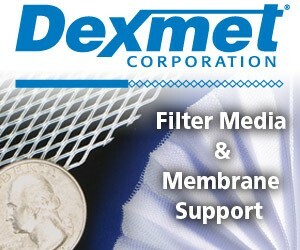 At the same time, it laminates layers of the filter media together. Since the adhesive dries quickly, filter manufacturers can easily incorporate the atomizing process into their production lines without disrupting productivity. 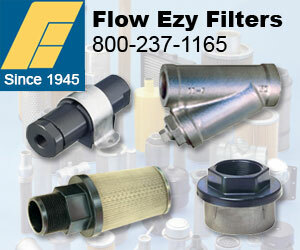 The lab’s work doesn’t end with the introduction of the FilterFAB line. Chemists and Technical Specialists are available to customize key performance characteristics of any of these adhesive technologies to customers’ specific application requirements. All of these basic formulations can be matched to media type, production equipment, end use, set speed, viscosity, etc. Customized adhesives will be tested in the lab to ensure ideal performance in the actual production facility. 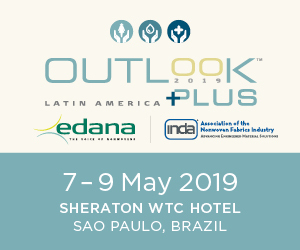 Further, the formulations are compatible with a wide range of conventional additives, increasing their ability to meet specific manufacturer needs – and position customers for maximum success.